Click on any of the blue race links below to read any of the race recaps in full….. I started the new year off right by joining my friends to run the New Day New Year 5K. The swag for this race is just about the best I’ve come across. Last year it was a blanket; this year a hat, buff, and gloves – and all sporting the race logo. Each year the Run With Santa 5K is more like a party in Reston Town Center that just happens to have a race around its outer perimeter. The perfect start to the holiday season, many of my friends and I make this race an annual tradition. It wouldn’t be Thanksgiving morning without running in the Ashburn Farm Thanksgiving Day 5K (or 10K). This year marked the 25th anniversary of this popular family oriented event and my family was well represented as usual! An annual favorite, I kicked off Independence Day by running the Firecracker 5K with my friends. The heat and humidity had upped its game providing for a challenging race, yet we made the most of it, and had a delightful time. Once I heard about the Grand Teton Half, it didn’t take long for me to decide that I wanted to create a racecation around this event! It proved to be a just as beautiful as promised, and views of the Grand Tetons during the race made up for the pain of the high altitude! Bill and I traveled back to my hometown in Southwestern Virginia for the Hungry Mother 25K Trail Race – I ran, he played paparazzi. We both had a delightful time at this low key, but well organized race, and realized how much we both have miss trail running. The New Day New Year 5K just happened to be the first New Year’s Day race I’ve run. Despite extremely cold temperatures and fierce headwinds, my friends and I had fun at this well organized inaugural race. Receiving a blanket at the finish line was the perfect race swag for this cold race! Holiday themed races have become a staple on my racing calendar and help me get into the Christmas spirit each year. This year’s Run With Santa 5K was no exception and I had so much fun! This year marked the seventh year of our family running the Ashburn Farm Thanksgiving Day 5K with our Cruiser friends (I’d run it a couple of other times in earlier years). As with the past seven years, we hosted and toasted our race successes with a post-race brunch. To celebrate my 60th birthday, I invited some of my running girlfriends to spend a long weekend at our family beach house on the Outer Banks and run the OBX Half Marathon. The entire weekend was a huge success from enjoying lots of relaxing down time to having a blast at this well organized race. Two of my running girlfriends and I headed to the Shenandoah Half Marathon for my first race road trip in a few years. The views of the Blue Ridge Mountains make up for the rolling hills on this challenging National Parks Half course. When every day seems like the weekend while on vacation, why not run in a race on a Wednesday? I did, and had a great time at the Outer Banks Lighthouse 5K put on by The OBX Running Company. The race started and finished in Historic Corolla Park and ran past some of the beautiful sights of the coastal community. Once again my friend Erin and I kicked off Independence Day by running the Firecracker 5K, a race that has become one of my all-time favorites! We were pleasantly surprised by seeing my husband Bill out along the course on his bike cheering us on and joining in on the race morning fun. FOMO got me to the starting line of the For The Love Of It 10K and I’m so glad I let peer pressure rule! My friends and I had a fantastic time and even continued the fun at Starbucks immediately after the run. There are races and then there are crazy fun races, and the Jingle Bell Jog 5K was, without doubt, crazy fun! I’m still smiling whenever I think of almost a thousand Santa-clad runners heading down the parkway and can’t help but wonder what people driving by must have thought. Another year and another fun Thanksgiving morning tradition with running the Ashburn Farm Thanksgiving Day 5K with our Cruiser and MRTT friends… As always the race was followed by Bill’s and my annual post-race brunch at our house. If you are looking for a fun race with a small-town feel, the Loudoun County 5K Race For The Homeless is definitely a race for you. Expect to see me at the starting line of this race again next year! The second my son Daniel called to ask if I’d like to run Ragnar DC with him and his girlfriend Jess, I immediately said yes! Whenever I get a chance to spend time with my either of my sons, I’m in! Over the years, the Leesburg 20K has become one of my favorite local races and I always see many of my friends during the race. This year while recovering from a summer virus,I decided to just run the race for fun and enjoy goofing off with my friends along the way. On Independence Day, my MRTT friends and I continued our tradition and ran in the 7th annual Firecracker 5K. The rain held out for pleasant race conditions and a great start to our July 4th holiday. As soon as my son Joseph and daughter-in-law Julie moved to Chicago, running in a Chicago race became a bucket list item for me. Once Julie’s mom Janet and I stumbled upon the Chicago Spring Half Marathon, a five-day racecation was planned! I was at first hesitant to join my MRTT friends and run Ragnar Trail Richmond on an ultra team, but when reminded by my team captain that I’d just run about that many miles at Ragnar DC on my three combined legs, I nervously signed up and prayed that my old spine injury wouldn’t complain too much. It didn’t, and I had another great time with my friends! This hometown favorite race never disappoints, and this year I decdided to switch it up and run the Loudoun 8K instead of the half. I was surrounded by both Cruiser and MRTT friends and had a blast enjoying spending time with my runnning friends. I hadn’t planned on running a winter race in 2016 until I won an entry into the Run Your Heart Out 5K, and on an extremely cold February Sunday I found myself toeing the starting line with my friends. This is a fun recap of the 2015 Run With Santa 5K written in a poem style. Once again I joined my running friends for another holiday themed race, the Run With Santa 5K, a race that I felt necessary to dress up for! Who have I become? Our Thanksgiving morning tradition continued with running the Ashburn Farm Thanksgiving Day 5K with our Cruiser and MRTT friends, followed by our annual post-race brunch back at our house. My first ever Halloween themed race was the Ghost, Goblins & Ghouls Spooktacular 5K. I donned my cat ears, tail, and whiskers and joined my fellow MRTT friends for a fun-packed Halloween afternoon of racing. 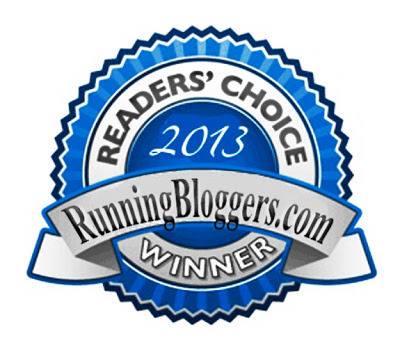 When invited to join my MRTT friends and run Ragnar DC, I jumped at the chance. I knew we would have a great time, but had no idea just how much fun we would really have, and how close our team would become! It’s not every day one has an opportunity to run on an airport runway, and when I heard about this race a couple of years ago, I desperately wanted to participate. This year the stars aligned, and I was able to join in on the fun at the Dulles Day On the Runway 10K! I ran the Parks Half Marathon with my son – his first half; and as expected, MCRRC did not let us down. We experienced a near perfect race from start to finish, and even the weather gods smiled upon us! The Leesburg 20K has become one of my favorite races despite the risk of facing brutal August heat and humidity. The out-and-back course allows for cheering on fellow runners while enjoying a speedy down-hill return to the finish line. When every day is Saturday at the beach, why not run in a race on a Wednesday? I did, and had a great time at the Outer Banks Lighthouse 5K put on by Outer Banks Runcations! The race started and finished at the Whalehead Hunt Club and ran along Route 12 in Corolla. For the third year in a row, I started my Independence Day off with a bang by running in the Firecracker 5K put on by Potomac River Running. When invited to join my MRTT friends and run Ragnar Trail Appalachians in West Virginia, I jumped at the chance. I knew we would have a great time, but didn’t expect the weather to have such an impact on our experience! My MRTT friends and I enjoyed an overnight road trip to Annapolis for the ZOOMA Annapolis Half Marathon. ZOOMA Women’s Race Series mission is to inspire women to live healthy, happy, and active lives, so what better race for a group of busy moms to attend! Bill and I have been running the George Washington Parkway Ten Mile Run off and on since 1999, and it has become one of our favorite races. This iconic race on the GW Parkway runs from Mount Vernon to Old Town Alexandria along the beautiful Potomac River. On Valentine’s Day, my MRTT friends and I ran the For The Love Of It 10K. Not only was it a holiday race, but it also happened to be my 100th race, and the day after my good friend Erin’s birthday. We had so many reasons to celebrate. This year’s Run With Santa 5K didn’t come with snow like last year, but it had friends galore, and that made up for the missing snow! I ran my first race dressed as a pilgrim in the Ashburn Farm Thanksgiving Day 5K. I ran a great race, so perhaps there will be more costumed races in my future! Bill and I chose the Hokie Half Marathon to be our focal race for the fall. We trained hard, fought a few injuries, but made it to the starting line healthy and had a blast, despite the pouring rain! Several of my Cruiser friends agreed to join the Cruisers Rockin’ The Relay team, and run Ragnar Relay DC with me if I would form a team. I knew we would have a great time, but had no idea just how much fun we would really have! After ten years, Bill and I returned to run the Leesburg 20K, with the hopes of running strong on a course that runs along much of the W&OD Trail that we have trained on for years. Weekly hill repeats over the previous month proved to be a good addition to my training! I returned to the Firecracker 5K after focusing on training for shorter distances, and took Bill and my MRTT friends with me. The tempo runs paid off, and I cut 1:30 off of last year’s race on the same course. The Fit Foodie 5K organizers reached out to me back in April to see if I would become an ambassador for their Inaugural Virginia Fit Foodie 5K and other weekend events. In addition to being a great race weekend, it was a fantastic opportunity to meet and hang out with some of my favorite DC bloggers! The TKO Melanoma 5K is a race close to my heart. This was the second year that I ran it, and just like last year, the race was well organized, and raised money for the Melanoma Research Foundation. As soon as I heard that there would be a Loudoun Half Marathon, I decided that I wanted to run it. We had near perfect weather for this inaugural, well run race. Little did I know when I showed up that morning that it would be a PR race for me. Bill and I ran our first ever true trail race together and had a blast! The EX2Adventures Backyard Burn Ten Mile Trail Race At Fountainhead Park was rugged and technically challenging, just as they promised. It was truly an adventure! The Cruisers had a great turnout for the Reston 10 Miler, and survived its hilly course. Before the race, Beth and I were a part of a huge group photo shoot for several area chapters of Moms RUN This Town! Bill and I started our 2014 racing year with the Run Your Heart Out 5K. It’s part of the =PR= Series Races and proceeds went to the American Heart Association. We ran it with our Cruiser friend Beth, and bumped into several other running friends! I ran my first Run With Santa 5K on December 8, 2013 at Reston Town Center. It’s part of the =PR= Series Races and didn’t disappoint. We had an added bonus of snow starting just before the race. It was pretty perfect, if you ask me! My husband, sons, future daughter-in-law, her mom and sister, and several other Cruiser friends ran in the Ashburn Farm Thanksgiving Day 10K and 5K. Did I mention that Julie was dressed as a turkey and Daniel was dressed as a pilgrim? As soon as Julie told me that there was going to be a Hokie Half-Marathon held in September 2013, Bill and I knew that we would have to be a part of this inaugural race! We had near perfect weather, and enjoyed a bonus weekend at our alma mater! On July 14, 2013 I organized the Cruisers’ 45-Mile Ultramarathon because my son Joseph wanted to run an ultra; and isn’t that what any good mom would do? Cruisers met Joseph at various points along the W&OD Trail so he would always have at least one running buddy with him at all times. Bill, Joseph, Julie, and I started our Fourth of July off with a bang by running in the 2013 Firecracker 5K. This was yet another well run event put on by Potomac River Running. The Virginia Wine Country Half Marathon has quickly become one of my favorite races, despite visiting the medical tent for the first time ever after this race. The race is run through the beautiful wine country of Loudoun County, Virginia along rural roads that make me think of where I grew up. Two of my Cruiser friends joined me to run this very special first-year race, the TKO Melanoma 5K. The race organizers did an amazing job honoring their friend while raising money for, and bringing attention to melanoma. The Cruisers and I love running in the George Washington Parkway Ten-Miler every spring. This year Lolly and I set out to run/walk the race, but felt so good that we ended up running the entire distance. A highlight of the race is seeing the Cruisers’ mascot, Obbie, along the course! 2013 3.2 Mile Virginia Tech Run in Remembrance Even though I had returned to Virgina Tech for the Day in Remembrance, I had not run in the 3.2 Mile Run in Remembrance until April 2013. Bill and I got away for the weekend to run the race with Julie and her roommates, and my new friend Meagan. Over the years my husband, sons, Cruiser friends, and I have run in over half of the Ashburn Farm Thanksgiving Day 10K and/or 5K. It’s become part of our Thanksgiving morning tradition followed by our annual post-race breakfast. I injured my back in January 2012, and the Virginia Wine Country Half Marathon was the first race that I ran after the injury. I’d had to stop training for the Rock ‘N’ Roll USA Marathon and skip that race, so I was antsy to get back on the running trails. I ran with the Cruisers (well most of them ran ahead of me), and I was thrilled that I was able to run about 75% of the race, taking walk breaks here and there as needed. I was back to running! One of my favorite local spring races is the George Washington Parkway Classic Ten Miler. I ran it in 1999, and then returned with Bill to run it in 2009, 2010, 2011, 2012, and 2013. The race runs parallel to the Potomac River with breath-taking views during much of the run. After a great experience the previous year at the inaugural Ringing In Hope 10K on New Year’s Eve, our friend Lolly convinced Bill and me to join her for this fun race which turned out to be a great way to close out our 2011 racing year. Six Cruisers and I ran the Hot Chocolate 15K on December 3, 2011. Despite the many snafus we had a great time! I mean seriously, how can you not love a race that feeds you Ghirardelli chocolate when you’re finished? The November 12, 2011 Richmond Marathon brought my marathon career to an abrupt halt… maybe. That doesn’t mean that I didn’t have a fun time leading up to the mid-way point of the race, though! In 2011 Destination Races started a new race in the Virginia Wine country called the Virginia Wine Country Half Marathon. The Cruisers decided to make this one of our annual races, and enjoyed running in the inaugural event! 2010, 2007, 2006, 2005, and 1999 Steamtown Marathon The 1999 Steamtown Marathon holds a special place in my heart because that’s where I ran my PR race! I loved the fast course so much that I encouraged Bill and some of my Cruiser friends to return with me to run it again in 2005, 2006, 2007, 2010. I ran one of my favorite marathons, the North Face Endurance Challenge Marathon, after I suggested to my friends that I might be finished marathoning. As a true trail race, it was beautiful, challenging, and loads of fun! The Cruisers and I ran the We’ve Got Your Back 5K in celebration of three fellow Cruisers’ successful recoveries from spinal/back injuries in the year prior to the race. It was a great local race even if it seemed rather short for this group of marathoners. The Crusiers and I took a road trip to Boston in April 2010 to run in the 2010 Boston Marathon and B.A.A. 5K. We had a total of six Cruisers and one sibling running that weekend. We even managed to somehow get lucky enough to stay in the Presidential Suite at the Hyatt! My Cruiser friends and I were excited to run the inaugural Cloud Snapple Half Marathon on the C&O Canal. Little did we know that we would finish with white Groucho Marx eyebrows after slipping and sliding on snow that started falling just after the start of the race! 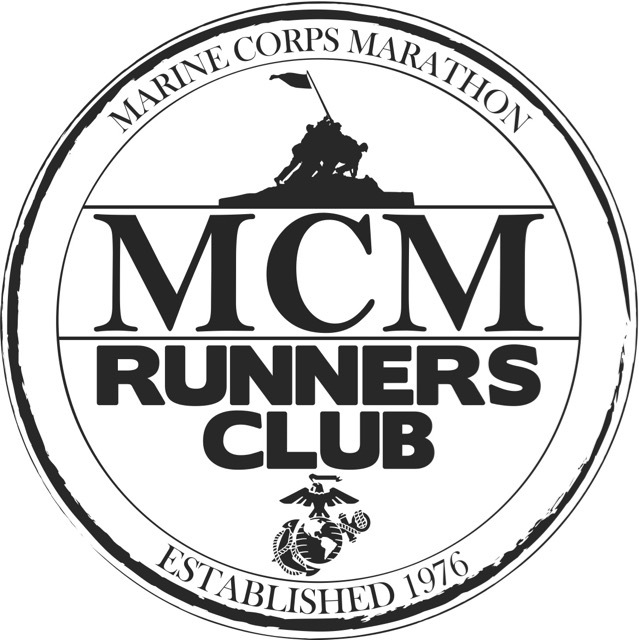 I’m proud to say that I’ve run ten Marine Corps Marathons and that the 1997 MCM was my very first marathon. I also ran it in 1998, 1999, 2000, 2002, 2003, 2004, 2006, 2008, and 2009. Obvious it’s one of my favorites! My friend Craig approached me to see if I’d be interested in being a buddy runner for his oldest daughter in her Girls On The Run 5K while he ran with her younger sister. Not only did he offer to pay my registration fee, but he also offered to feed me breakfast after the race. How could I turn down such an offer? Bill and I ran the Inaugural 2006 and 2009 National Marathons. For a short period of time in 2006 several Cruisers and I were dead last in the race, almost getting passed by the street sweeper! Both races were fun, but not very speedy. One of my favorite DC races is the Cherry Blossom ten Mile Run. I ran it in 1998, and Bill joined me for 1999, 2001, 2002, and 2008. We woke up to snow in 2000 (we think it was 2000), so we made the sleepy-eyed executive decision to go back to bed! 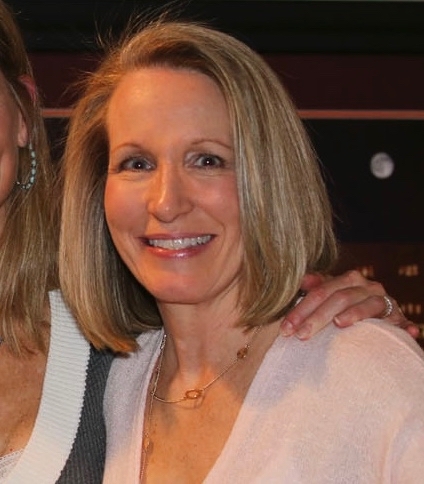 I flew to Atlanta with my friend Terri to run in the Georgia Marathon. It was a fun weekend with less than perfect race day conditions on a hilly course, but we made it fun! In 2003 we didn’t make it to the start of the Frederick Marathon, but I redeemed myself three years later with my one and only master’s win! Bill and I also ran the Baltimore Marathon for five consecutive years from 2001 to 2005. It is a mid-October race and we had pretty good weather all five years. We enjoyed the course, the race organization, and the fact that it was run on a Saturday! Bill and I ran Marathon in the Parks for five consecutive years from 2000 to 2004. It was consistently run one of the first three Sundays of November. The 2000 race was Bill’s very first marathon, and a couple of years later he PR’d there. The Cruisers (before we even named ourselves the Cruisers) first ran the Leesburg 20K, a race that’s become one of my favorites in recent years, way back in 2004. Even though the course has changed slightly since 2004, the race started and finished in historic Leesburg, VA while following the W&OD Trail through Western Loudoun farming communities. Bill and I ran in the Potomac River Run Marathon and Half Marathon which started and ended at Belle Haven Park in Alexandria and ran along the Mount Vernon Trail next to the beautiful Potomac River. It was a small race of only about 200 runners, but it was an enjoyable run. I decided to return to the half marathon scene with several of my friends for the LAWS Run For Shelter Half Marathon. We treated it as a training run for our fall marathons and despite the tough course, had a great time! I ran the National Capital 20-Miler five times back in the late 90’s and early 2000’s. It was a great race for gauging training, and a fun way to get that last 20-mile training run in before my fall marathon. I ran my very first 5K in 1998 when my favorite distance was the marathon. The Sunrise 5K not only holds the honor of being my first shorter distance race after I started running marathons, but also it continues to be my PR race at that distance. After running many marathons, Bill and I decided to run our first half marathon choosing the Rock ‘N’ Roll Virginia Beach Half Marathon for that honor, and joined a group of our friends for a fun Labor Day weekend racecation. We ran the first and only Washington DC Marathon, and had hopes of returning the following year to run this new spring marathon. Just four days before the second annual race, it was canceled. They just took our money and ran! One of the most beautiful marathon courses Bill and I have run was the Big Sur International Marathon which runs along the Pacific Ocean from Big Sur to Carmel. We ran it on a beautiful late-April day and it remains one of our favorite races. Back in 1998 and 2001 I ran the Reston Ten-Miler with friends. Our claim to fame at the 2001 race was taking water at one of the water stops from Alan Webb. I decided rather last minute to run in the George Washington’s Birthday Marathon in Greenbelt, MD on February 20, 2000. It was a very small race with fewer than 200 runners on a three-loop course. My friend Miles and I ran the North Central Rail Trail Marathon on November 28, 1998 in Sparks Glencoe, Maryland the Saturday after Thanksgiving. Go easy on the gravy, stuffing, and turkey because we’ve got a marathon to run! After qualifying for the 1998 Boston Marathon at my very first marathon (1997 Marine Corps Marathon), I decided that I had to run it! Bill and I pawned the boys off on friends for a long weekend and flew to Boston for a fun getaway weekend. Every aspect of that race is magical, and I’m so glad that I had my camera with me to capture the moments. In a weak moment, my running buddy, Miles, talked me into running my first (and only) ultramarathon, the JFK 50-Miler on November 22, 1997, less than a month after I ran my first marathon. Join me to discover our antics that kept us from going nuts running all day! The first of many races I ran with my friend Miles was the 1997 Rockville Rotary Twilight Runfest 8K. Even though I have no pictures from the race, I do have a lot of fun memories and an 8K PR! Having just found out that I was pregnant with my second child, I ran the Herndon Festival 10K on an extremely humid day. The race is still going strong today, all these years later! Wearing a tucked-in cotton shirt, florescent yellow shorts hiked up to my belly button, and cotton crew socks under my Nike Air Pegasus, I lined up with women, from elites to casual runners, to run the Nike Women’s 8K in DC way back on Mother’s Day, May 14, 1989. As the race director of The Tortoise & The Hare 8K for six years from 1989 to 1994, I know what it takes to put on a good race. It takes months of planning and organizing, and it takes volunteers willing to spend countless hours behind the scenes assisting the race director. On a road racing roll, I ran the Rosner Motors Historic Fredericksburg 10K, my third race in just over two months. Little did I know that after the race I’d be taking a nine-year racing sabbatical – a break from racing, but not running. As a PE teacher at a middle school, my students were always eager to tell me about their fitness endeavors outside of class. When a student told me he’d be running the Fredericksburg Park & Shop 10K and suggested I join him, how could I say no? I ran my very first road race, the Twin Bridge Volkslauf Fredericksburg Heritage Festival 8K, after my upstairs neighbors invited me to join them to kick off Independence Day. I had no idea what to expect, and despite thinking I was going to die while trying to keep up with my friends, I finished, and had a good enough time to return to the starting line of another race just two months later.